As a Job Shop Manufacturer, your needs are very unique. You are catering to a wide variety of customers with specific requirements and need to ensure that the customer is always happy, thus generating repeat business. You also need to ensure that you profit on every job, securing your success. Typically each job is different from previous jobs. As such, estimates for the materials and labor need to be accurate and the manufacturing needs to be done to exacting standards. Discrete Manufacturing or Job Shop Manufacturing is concerned with discrete units, bills of materials and the assembly of components, and can be contrasted with Process manufacturing which is the branch of manufacturing that is associated with formulas and manufacturing recipes. HOW CAN ONEIR SOLUTIONS HELP MY JOB SHOP MANUFACTURING COMPANY? Accurately estimating jobs is key! You need to know the actual cost of each job as it happens. Without this knowledge, you are potentially losing precious profits. The success of each job is dependent on many factors, specifically detailed labor reporting, accurate inventory tracking, knowing which contractors are efficient at which jobs and providing accurate estimates to your customers from the start. With Oneir Solutions, you can calculate the actual cost of each job, including materials, what type and how much labor, thus reducing extra surprise costs. Track your inventory in real-time as the production workers take the materials they require. Accurately estimating specific jobs is key. With Oneir Solutions, you can easily and quickly turn these quotes into orders and expedite as required. You may easily see estimated vs. actual costs, securing your continued success in the industry. Your inventory may not be vast, but you must ensure that each step of the manufacturing process runs as smoothly as possible. You have purchasing of special products and services that have to be monitored and finally charge to the job as they are received. Track and report on orders placed with your vendors to ensure timely delivery every time. Oneir Solutions can help with each step of the manufacturing process. From order taking with Sales Order to placing and tracking vendor orders with Purchase Order to tracking active jobs with Job Costing and finally, delivering to and invoicing the customer. Oneir Solutions will help you accurately estimate your jobs each and every time. Stop losing customers and jobs by over-pricing or losing money by under-pricing! And if you have service trucks on-the-road, Oneir Solutions has the ability to monitor their performance, schedule jobs and track their on-board inventory, thus ensuring that each and every job is monitored and invoiced. 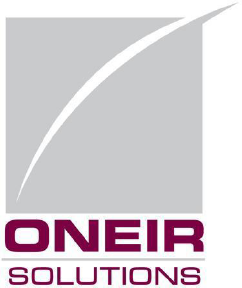 If you are a job shop manufacturer that is “bursting at the seams” and is expanding into more locations, Oneir Solutions is designed to make your dreams reality.